Way back in March of 2008 I began this blog by saying, “starting a blog is tantamount to saying what the world needs is more of me and my opinion.” I rarely blog anymore. Not even once a month. So somehow it feels like the world is just not getting enough of me. ;)Since the world is not getting enough of me, and since I do have a need to teach that is not being fulfilled to the degree that I would like, and since one of my friends is quite persistent, I have started a podcast. This is my first attempt at something like this. Consequently there are plenty of issues with this first “real episode.” I really belabored my point a couple of times, missed some facts and, most significantly, I need to learn to moderate my tone. I will get better. In order to get better though, I need questions. If I’m going to keep answering one question per episode, I need more questions. I am actually quite gifted at making difficult things simpler. I hope that by listening I can clarify thingsm I also hope that I can help strengthen your faith . It may or may not be common knowledge that Matt Heissenbuttel at 13 letters has the longest name (i.e. the longest name put on a jersey) in UK basketball history. However, this season UK has a player, Michael Kidd-Gilchrist, who now takes the top spot in name length. (If you count the hyphen) There is little doubt that Kidd-Gilchrist will be more remembered in Kentucky lore than Heissenbuttel. He will surely eclipse Heissenbuttel in every statistical category except years on the team. But I have a question for UK fans. Should he eclipse Heissenbuttel in the record books for name length? In my opinion the hyphen is an unfair advantage. It allows Kidd-Gilchrist two have two last names combined into one, but even with that advantage, the hyphen, which isn’t actually a letter, only gives Kidd-Gilchrist a 1 character advantage. Let’s put it to a vote. If you are a UK fan, vote here. Then please send your friends here to vote as well. The more votes, the more accurately we reflect the opinion of the Big Blue Nation. It's not even noon here and already today I have used 3 very different things that didn't exist 10 years ago. Claritin Eye - This product is absolutely the greatest. There has never been a better product made for itchy eyes that are a result of pollen. In May and in September I use it multiple times per week. Amazon's Kindle - I have not yet written a review of the Kindle, but here it is in short. It is great. There is really nothing to dislike about the Kindle except for the price of books. It is superior to paper books in almost every way. None of these things existed 10 years ago and now I would not want to do without them. This got me thinking about the speed at which things change. It is as if Moore's law affects every aspect of our lives. The rate of technological change seems to speed up over time rather than slowing down. It's effects are seen in every area of our lives. Even my tackle box is full of things that weren't around 10 years ago. I also realize that people find technology daunting after a certain age. It seems that nearly everyone has an age after which new technology is useless to them. For my grandparents, the DVR built in to their cable box is really a bridge too far. (After seeing me do it a time or two they may occasionally rewind something they missed,but they are not going to time shift any program.) For some people technological advancements are not just too difficult to learn, they are actually frightening. This phenomenon is nothing new. People once believed that if you travel too fast in a car, you would suffocate. I have to admit that sometimes theories of technology in the future frighten me, but overall I welcome it. How about you? Are you afraid of the technology of the future? Does the rate of change brought to our lives by technology scare you at all? What products do you use regularly that didn't exist a short while ago? Do you think there will be an age where learning anything new technologically is just not worth the effort? Two weeks ago I tried an interactive question on this blog I asked a question and for your feedback. I was busy last week though and forgot to post my response. So with an apology I offer my answer. The question I asked you to respond to is What is the most important issue that our teenagers are facing today? The way I laid out this question was in the context of a church youth minister search committee. If they asked you this question, how would you respond? With apologies to Chap Clark, I do not believe that there is a fundamental change in teenagers over the years. Technology has brought about many changes in culture and to our society, but essentially here are no new sins, only new ways to get involved with them. When I asked this question my answer is that the problem for teenagers is the same as for every other person; not knowing Christ. The biggest problem any person can have is being lost and having to deal with judgment and eternity. I know, however, that this not really the answer a committee is looking for. They want to know what unique problem is there today that teenagers deal with that was formerly not a problem. To that question my answer is that there is such a proliferation of media that it can be impossible to hear the voice of God over all the other screaming voices. A Twitter stream, and a Facebook feed, and dealing with text messages from 9 people all at once, while wearing earbuds makes it very hard to have quiet time. In fact, this constant stream can make it hard to hear any voice. And eventually it can rob teenagers of the ability to be around the people they are around. I believe that this is the greatest problem facing our students today because it hinders the ability to have real relationships. Or maybe it just changes what the word "relationship" means. On another note: I really enjoyed the feedback I got on this one. Everyone wrote well-thought-out answers and I can’t disagree with anyone. I am inspired to do this on a regular basis. Ask a youth ministry question on a Wednesday give my reply the following week. Would you be willing to keep participating if I did that? I recently took the Miller's Analogies Test. After scheduling it and before taking it, there was one question I searched many times; "Can you study for the MAT?" I had no success in finding an answer, so I intend to answer it here on my blog. Can you study for the Miller’s Analogies Test? You cannot study for the exam. It is pretty much going to test your ability to think analogically. Even though you cannot study for the test, you can prepare for it, have a strategy, and be familiar with the types of analogies and the categories that appear on the test. There are a multitude of practice exams on the web, some are good, some are not. I’ll offer what tips I can. Even though there are spelling errors, and annoying ads, this is the best set of practice questions I found. The timed format is very similar to the actual exam. It is helpful if you are somewhat of a polymath. There are math, history, science, and literature analogies on the exam. My version had analogies with simple algebraic formulas, relationships between dictators, chemical symbols, countries and capitals. There is no substitute for a good vocabulary. All through seminary I kept a running list of all the words I had to look up. I haven’t mixed them into my vocabulary regularly, but more than a few appeared on the exam. The difference in reading a word in a book versus reading it in an analogy is context. You have no contextual cues to tell you what inchoate means; you pretty much need to know it in order to say how it relates to nascent. You are allowed a piece of scratch paper, use it. Use it to remember the numbers of the analogies that stumped you, use it to work on math problems. Use it to restructure the analogies in hopes that they make sense to you. Do not be freaked out by the time. You have 60 minutes to complete 120 analogies. The ones you know will take you way under 30 seconds, you can use the spare time to work-out the ones you don’t. Don’t be freaked out. The test is hard. It’s supposed to be hard. Unless you are a genius you are not going to know them all, so relax. Be alert and limit distractions. I’m sure everyone reading this already knows this, but I’m going to say it anyway. The test is nothing to be afraid of, but you should get some exercise the day before so you can sleep well through the night. Eat breakfast, and go to the bathroom before you take it. No need for distractions. Here was my strategy. I went through the test answering the ones I knew and making a guess at the ones I didn’t. Usually even if the answer is not clear, some of the options seem obviously wrong. I made an educated guess in case I didn’t have time to get back to it. I also wrote down the number of the analogies I didn’t know so I could come back. (At one point I wrote down 7 analogies in a row. See #6 above.) When I finished my initial run-through, I had 23 minutes remaining. I used those 23 minutes to review the many questions I was unsure of. Some of them clicked for me, some of them I felt confident I was making my best guess, and a few of them I was utterly stumped. There was one about tennis that I never had a clue about. That’s it. That is my best attempt at answering the question “can you study for the MAT?” If you find this helpful, feel free to tell me in the comments how you did. In the last 3 months I have repeatedly had conversations with my (conservative) Christian friends about tattoos. For many of my friends tattoos are absolutely morally indefensible. I, however, do not share their convictions. The purpose of this post is to explain my position. I’ll start with putting my biases on the table. I have no tattoos, but many people I know well have them. I don’t understand them on any level. Fashion and style trends change, but tattoos don’t. I've never seen a tattoo that I thought was attractive. 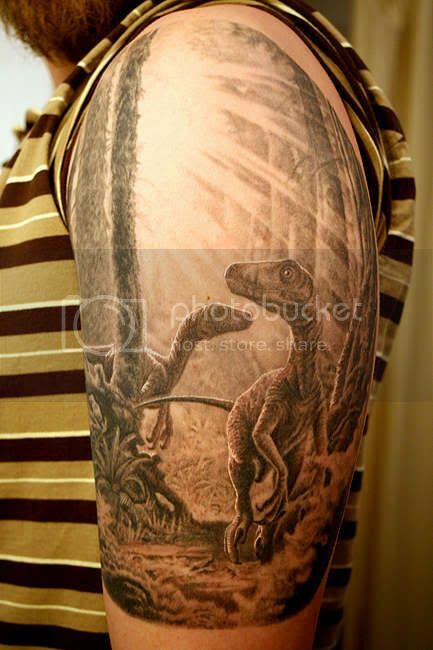 Nor have I ever seen a tattoo that I thought enhanced the looks of the tattooee. 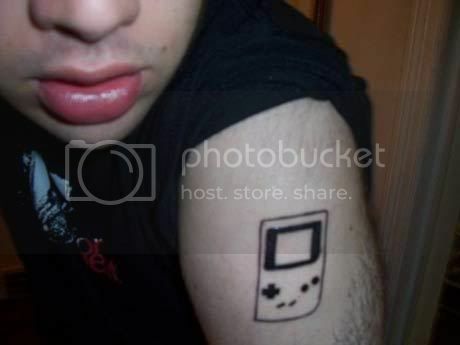 I have, however, seen tattoos that I think are really neat. So here is the question at hand; are tattoos morally right or wrong? It is my position that they are morally neutral. In fact, I can envision a scenario in which not having a tattoo would be wrong. Imagine if you will, a mission scenario in which to have an audience with those God has called you to minister to, you must get a tattoo. Let’s say it marks you as an adult and therefore worthy of respect. If you refuse it, you also refuse to be an effective witness and are disobedient to God’s call. Is this not a situation where getting a tattoo is morally proper? I believe that most people are opposed to tattoos are really opposed for cultural reasons. They associate them with certain immoral types of people. However that is no longer the case. My survey from yesterday was interesting. For one thing [and off the subject], from my comments I would have guessed that more women than men read my blog, but more men voted. I was hoping to show that more than half of 20-35 year-olds are tattooed and that more women than men have them. My very unscientific survey didn’t reveal that. It did show that tattoos are more common for women than men, which is anecdotally my experience as well. This study from Pew research says that about 40% of that age group is tattooed. Even though that number is lower than I expected, it is still enough to make my point. Tattoos are not just for bikers and prisoners anymore, and getting one does not say you want to associate with them. As always feel to tell me why I’m stupid in the comments. 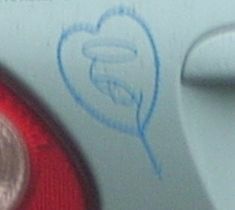 I saw this sticker on a car Friday, and I have no idea what it might be. We were sitting at light so I snapped a picture of it. Sorry for the lack of clarity. It's tough to take a picture in traffic. At the time I was thinking it was a Christian fish with a lasso. But now that I see it and it's not moving, I'm pretty sure I'm wrong about that. The heart portion of the symbol looks like it made of barbed wire, or maybe it's a map symbol for railroad tracks. Your assignment is to tell me what the heck this might be. I'll take your best guess, or if any of my genius readers know the truth I would love to know. I rarely write these kinds of posts, where I'm essentially asking for comments, but I'm curious if I'm just odd among the readers of my blog. Or do lots of people have these sorts of quirks. A couple of weeks ago I saw this post about things that you will never watch despite everyone you know having seen it. The blogger of the post I linked to said, "I suspect we're all playing this irrational, stubborn game with something." And after some thought, I'm inclined to agree. I also think we feel some odd sense of pride because of these things. I began to think about this and realized that there are some things like this in my life. There's probably something else, but I cant think of any more just now. I never played Legend of Zelda as a kid, despite all my friends telling me that it was the absolute best game ever. I have since extended this to all Zelda games. I have never played one second of Link in any game ever. The question to you, my readers, is this; is there anything you refuse to watch/play/listen to, & do you feel some strange sense of pride because of it? My comments have been way down lately, so chime in let you voice be heard on this totally pointless topic. Yesterday I began answering the question of whether we can allow Christian beliefs to affect the laws of our nation. The conclusion reached was that somebody's morals are going to affect all our laws, and there is no grounds for Christian morals to be excluded. Now we come to the second part of this discussion, and the more difficult question - Where does morality come from? I hope that all the readers of this blog will agree that morality MUST come from somewhere outside of mere democracy. If mere democracy determined morality, then chattel slavery was morally correct. Also I hope that we can agree that morality has to have a non-human source. If morality is based in humanity, then whose morality matters more? The ones who are powerful enough to whip everybody else, of course. Power to control others or to set laws does not make moral authority. (Think about it, if morality was people-based, then it was perfectly moral for Hitler to murder Jews in WWII Germany, it only became wrong after we were able to impose our morality on them by winning a war. How dare we do that.) Power to control peoples’ minds or control how they look at the world also does not grant moral authority. If so, then the artists and entertainers of the world would set morality, and all it takes is a look at a museum to see that the tastes and opinions of artists change like the weather. We are now down to only one issue. I first was introduced to it when I read Plato’s The Death of Socrates in my philosophy of law class as a political science student. It is known as Euthyphro's Dilemma, and it is presented with this question - is an action moral because God says so, or does God say so because it is moral? (In Socrates’ original question gods was plural, of course.) in other words, is he law above God or is God above the law? I am not going to get in to a full discussion of this dilemma but if you want to read an excellent summary, go here. In short, the answer is, neither. An action is moral because of who God is. The law is not over God, nor is it subject to the whim of God. God always acts in a way consistent with His character, therefore the law, (morality) emanates from who God is. It is not subject to change because He is not subject to change. So if I can address the original question. It is not a violation of church & state to allow biblical morality to color the law, any more than it is a violation of physics to allow gravity to effect the design of an airplane. The fact is, biblical morality is true morality whether anyone believes it or not. My pastor often says right is right if nobody does it, and wrong is wrong if everybody does it. SOMEBODY'S morality is going to affect every law. Let's hope that it is true morality. I truly hope these posts were not too convoluted or unclear. Feel free to coment. This post is in response to a question, although it is not a direct answer to that question, the question is what got my mind working on this answer. Here's the question: Is it, a violation of separation of church - state to invoke biblical morals or biblical definitions of marriage or sin into law? I often hear people say you cannot legislate morality. In fact, I believe all legislation is legislating morality. Let’s chose 3 random laws and see that they all convey some moral imperative. Speed Limit – this law implies that as a society we value the worth of human life. Therefore there are restrictions on how you can drive so as not to endanger yourself and others with what is undoubtedly an extremely dangerous piece of machinery. Voting age – this law implies that we as a society value the democratic process deeply. And we desire to have well-informed voters making decisions for our country. It is safe to assume that school-aged children are not well informed and would not make good voters. Pay Taxes – this law makes it clear that we believe that many things must be done for the good of our entire society. The only way to pay for these things is for everyone to chip in. People won’t contribute without being forced so we make it a law. Here are 3 laws seemingly unrelated to morality that have a moral principle attached to them. That human life is important, that freedom [therefore democracy] is important, and sacrifice for the common good is important. If all legislation is tied to morality, then we have a duty to legislate morality. If we believe it is morally wrong to do activity X, then we are wrong not to make activity X illegal. So let’s pick an obvious example; murder. Everyone I have ever known believes that murder is morally wrong. This is a non-gray area, and consequently, murder is illegal. Here’s another example; lying. Most people believe that lying is wrong under most circumstances. Consequently, we have laws against lying in important circumstances, such as, for example, in a court of law. But what about areas where there is genuine debate in our society about what is moral and not? Then it seems that there must be some compelling reason to change the laws as they are currently established. For those people who, for example, believe that it is morally allowable to smoke marijuana, they would need to show some reason why the state would be better off by allowing it and changing a long-standing law. That is almost always a hard way to go. Here is the final thought for this post - SOMEBODY'S morality is going to be reflected in every law. Brent’s comment here reminded me that I forgot to answer Roland’s question. When will you put up the picture of Rupp Arena again? It is way better than the turtle. My answer…Next March. It goes with the whole March Madness theme. The turtle is already gone. My plan is to change the header regularly, much like I change my profile pics on facebook & myspace. I planned for this post to be a bit more entertaining with a little poll for the next header pic. It was going to be part of my Friday fun post, but I was so impressed with “Ken Lee” that I forgot. Yesterday I answered the question, “Is war ever justified?” My conclusion; only the state can carry out war, and it can be the morally correct thing to do in certain circumstances. The corollary question to that one is, “Can a Christian be a combatant?” These questions are not mere abstractions. In case you haven’t noticed, the United States is in an ongoing war. And to have a war, you need people to fight. There’s probably a dozen us.army.mil addresses in my address book. So this question matters. For a Christian interested in doing the will of God, who also happens to be in the military this question is of paramount importance. So lets get to the answer. Can a Christian fight in a war? The answer to this one lies in yesterday’s conclusion. The state can carry out a war. So how is a state to do so? What is a state? Is the US the land that we inhabit? If so do we expect the land to begin drifting and swallow up the land of our enemies. That is ludicrous, of course. The US is the people that make up the country. Remember that whole We the People thing? The citizens are the body of the United States. If the people decide to do battle through their duly chosen government, we are to support this decision. Since the state needs to do things and has no anatomy of its own, it needs agents to carry out those duties. So what is an agent of the state? We have police officers, who patrol the domestic streets in order to keep order, we have engineers who design the infrastructure, to keep us moving. We have sanitation workers who keep our streets clean, and we have teachers to educate our populace. All functions that the state has decided are good and necessary. Sometimes it is possible or even likely that one of these agents will be required to do something that under other circumstances would be immoral. Of course since we are talking here about war, the obvious example is the taking of a human life. A soldier may have to do so, a police officer may have to do so, an executioner fulfilling the penal system requirements may have to do so. In these cases killing is not equal to murder. Remember that yesterday we said that the state has the right, and possibly the duty, to do these actions. Someone acting as an agent of the state is not morally responsible for murder. Jesus' teachings about forgiveness, loving your enemies and turning the other cheek were not meant as social ethics for the state but as private ethics for the individual. Moreover, they were guides to becoming a certain sort of person — kind and compassionate, ready to forgive; but they did not offset the need for justice and protecting the innocent with force as a last resort. After all, it is not "living by the sword" for genteel folk to kill an intruder who tries to murder their children. Jesus accepted the reality of hell and judgment, and He is depicted as a warrior when He returns again. 14Then some soldiers asked him, "And what should we do?" He replied, "Don't extort money and don't accuse people falsely—be content with your pay." 9b"I tell you, not even in Israel have I found such faith." 4he does not bear the sword in vain. For he is the servant of God, an avenger who carries out God’s wrath on the wrongdoer. Why all this scripture? To establish that the Bible is favorable to the soldier. There is no reason to believe that the Bible encourages the soldier to stop doing so. And certainly Jesus is pictured as a triumphant warrior upon his return. At the end of this marathon 2-day post what is the conclusion? I hope that wasn’t overwhelming! A Time For War? And A Time For Peace. I’m going to answer this question first because there is so much on the subject already written. Also because it is the question the other stands on. If war is always wrong, then the Christian certainly cannot participate. It seems like this question has been pondered since the beginning of Christian history. Augustine, Aquinas, Luther and Calvin all addressed the subject and all came to the same conclusion. After studying the scripture, I have also come to the same conclusion. Under certain circumstances war is justified. In short, the argument is, that God is just, and expects his world to be just. This does not override His love, but goes alongside. As a part of the justice of God sometimes violence is demanded. The power for the state to carry out war is clearly granted in Romans 13. This passage about he power of civil authorities makes it clear that war is the right of the state. Of course the Old Testament has many, many commands regarding warfare. From Abraham’s [military] expedition to save his cousin Lot, to God’s directions for Saul to destroy the Amalekites. Remember this cheer from the Israelites in 1 Samuel 18? 7 As they danced, they sang: "Saul has slain his thousands, and David his tens of thousands." David was viewed as a hero because of the way he executed God’s plans toward the peoples of Canaan, because he was successful in warfare. The next question is; Are all these Old Testament passages binding on New Testament Christians? I believe Hebrews 11 speaks to this. 32And what more shall I say? I do not have time to tell about Gideon, Barak, Samson, Jephthah, David, Samuel and the prophets, 33who through faith conquered kingdoms, administered justice, and gained what was promised; who shut the mouths of lions, 34quenched the fury of the flames, and escaped the edge of the sword; whose weakness was turned to strength; and who became powerful in battle and routed foreign armies. In this case these people are being celebrated, in the great faith chapter of the Bible, for their military victories, on behalf of the state. I hope at this point that I have established, that from a biblical perspective, the state has the right, and even duty, to carry out a war.